BATTLE GROUND — LeighAnne Craig was ready to head home. The security guard was finished with her graveyard shift early Thursday morning, and waiting in her car outside her mom’s Battle Ground home where her children were asleep. 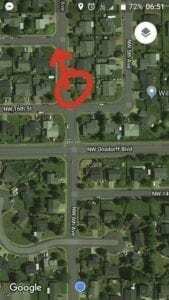 A possible cougar was spotted Thursday morning in Battle Ground. Stock photo. A few houses away, a flash of movement caught Craig’s eye. A large cat had jumped out of a neighbor’s backyard, briefly perching on the top of a fence. Craig says she spent some time during college doing a lot of work in the wilderness, and has seen cougars in the wild before. She’s convinced this was the real deal. “Soon as I pulled out my camera, because I wanted to take a picture, it jumped down and darted,” she says, “and I was like ‘OK, that was way too fast and agile to be any sort of dog jumping over its fence. Craig says the big cat had something in its mouth, possibly a house cat or a small dog. Craig called 9-1-1 and was eventually forwarded to the Washington Department of Fish and Wildlife. Battle Ground police confirm they did respond and searched the area extensively, but found no signs of the cougar. Battle Ground School District officials said they informed the principals of four nearby schools of the sighting. Nearby Chief Umtuch, which normally opens at 8:10 am, opened the doors early so any kids outside could come inside the school. After Craig posted on social media about the cougar sighting, a number of people questioned whether what she saw was, in fact, a cougar. She insists she knows the difference, and that it clearly wasn’t just a big house cat, a dog, or a bobcat. 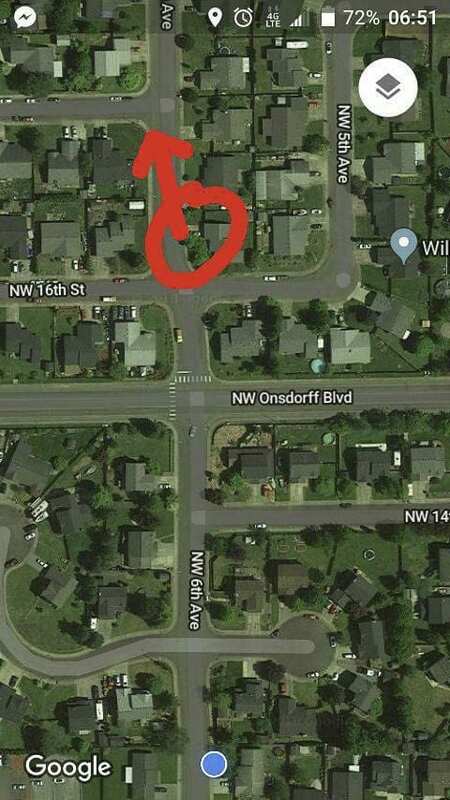 One person who responded said her cat came home with large puncture wounds recently, and ended up having to be put down. Another said her cat had vanished recently, but that her food was gone, so they are hopeful she has just wandered off. Another person said they saw what they believed to be a juvenile cougar near the Jack in the Box restaurant south of the Fred Meyer last week. Craig says she hopes people in the area take some extra precautions, especially at dawn or dusk, when cougars tend to be most active. 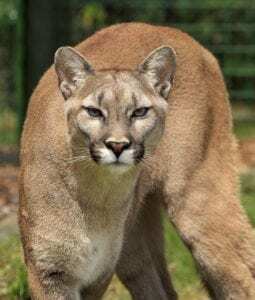 Cougars have been in the news recently after one biker was killed and another injured in an attack in North Bend, Washington, east of Seattle. It was the first deadly cougar attack in Washington state since 1924. In that case, authorities said the victims did everything right, and still ended up getting attacked. That cougar was eventually tracked down and killed. While cougars rarely attack humans, and will generally try to avoid contact, there are some things you can do to stay safe should you ever come face-to-face with one. Wildlife experts say you should remain calm, and never turn your back on the animal. Make yourself look as big as possible, and back away slowly. Gather any children or large pets, and continue to face down the cougar. If the animal seems aggressive, or acts as if it might attack, make as much noise as possible, by yelling, whistling, or clapping your hands. The goal is to make sure the cougar sees you as a threat, rather than a possible meal. Craig says Fish and Wildlife officials told her that, if this cougar is spotted again, they would likely try to trap it and relocate it somewhere else. Cougar sightings have become more frequent in the area over recent years, as humans continue to expand into their traditional territory. 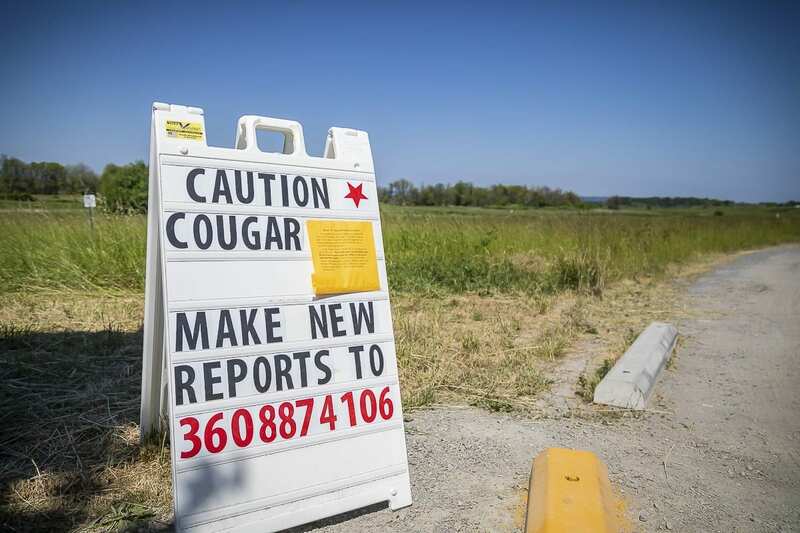 Last month a possible cougar sighting at Ridgefield National Wildlife Refuge prompted them to post warning signs for several days, and close some parts of the park.